In a mixing bowl, combine the blackcurrant jelly, vinegar and oil. 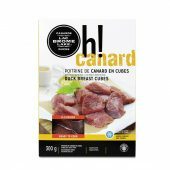 Add the cubed duck meat to the bowl, season and marinate for 4 hours in the refrigerator. Heat an ungreased pan, add the pieces of meat (without the marinade) and cook over medium heat until golden brown. Transfer to a plate. In the same pan, add the marinade, cook 1 to 2 minutes in order to keep all of the meat juices. Pour the sauce over the duck pieces. 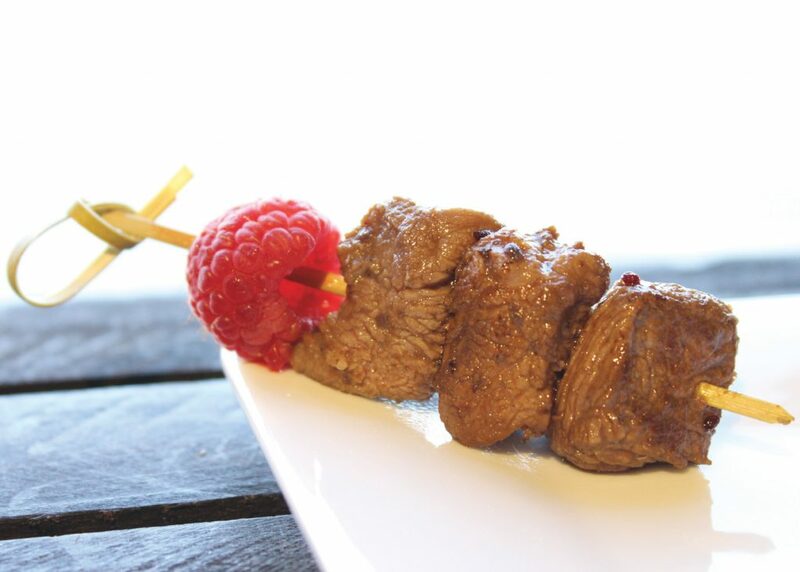 Arrange the skewers as follows: one raspberry followed by three pieces of meat.